Have you ever groaned and panicked when you hear that there is a dress code for a formal event? Well, I have. And it happens often with all the events that there is to attend. It doesn't help that I am at the age group where my friends are starting to get married, and weddings mean fancy attires required for fancy grand ballrooms. Thus I started wondering... Why can't I just rent one of these dresses? It doesn't make any sense to burn my wallet just to get a dress that I would only wear for a few hours in my entire lifetime. And that is how I came into contact with "Rent A Dress" — a one-stop new age designer dress rental portal, curated for fashionistas with finer taste. Rent A Dress is a site full of dresses for sophisticated young cosmopolitan ladies to rent for the weekend. 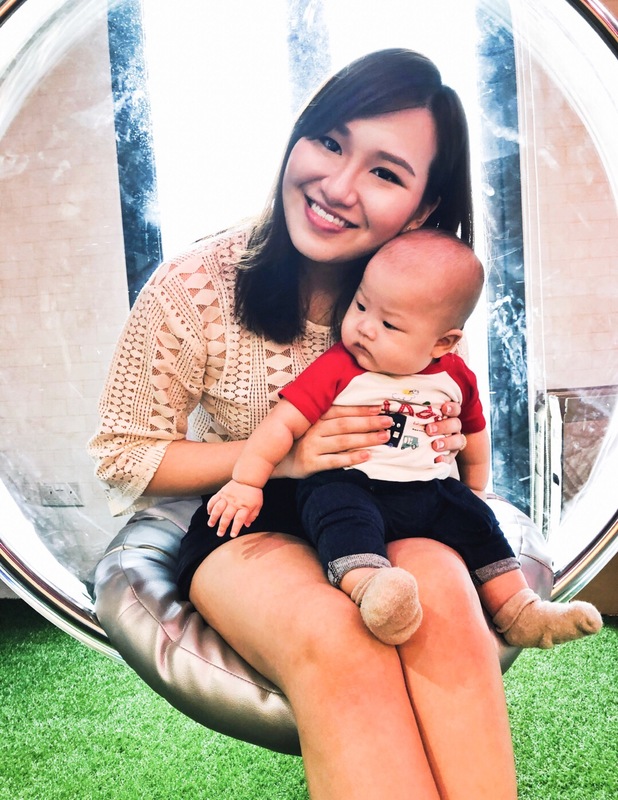 It all began when Shuen, the founder of Rent A Dress, found herself with nothing to wear amidst a closet full of dresses and started to loathe shopping for dresses for upcoming dinners, she knew there was something seriously wrong. Which girl in their right mind would start seeing shopping as a hassle? The thing is, she couldn’t find good quality evening dresses on the go. The nice dresses were usually custom made or were super pricey and she knew that she was going to wear them only once. Oh, the dilemma. Surely all fashionistas go through the same problem! She wished so hard that she could have a closet full of designer dresses to just pick and wear for a weekend and voila, Rent A Dress was born. The site offers dresses for every occasion from a fancy date night to a black tie event to a traditional wedding, available at a tiny fraction of the price! You can have the dresses delivered to you by courier service or pick it up yourself from their showroom located at Orchard Road. If you are afraid of renting a dress that you might not be able to fit and do not have time to drop by their showroom for a fitting, there is an option to have the dress delivered to you and try it on for 24 hours before renting the dress. Find out here for more information on how their renting system works. You can easily contact the staff at Rent A Dress if you have any queries, and they would get back to you as soon as they can. Enjoy this dress up journey with Rent A Dress, feel and look beautiful as you stride into the formal event in your classy formal dress! 5% OFF ALL RENTAL DRESSES! I suspect you too are wondering why the strange name "Goro Goro"? Well, according to this affordable steamboat & Korean buffet restaurant, their name originated from the sound that one's tummy makes when us humans are hungry (LOL) and also because it is the magical sound made when their delectable steamboat broths are boiling! It is a fun twist to restaurant names that are either too difficult to be pronounced or too dull to make an impression. GoroGoro Steamboat & Korean Buffet Restaurant is a fun, affordable and yummy place suitable for students, friends, family and couples! The restaurant distinguishes itself from the more traditional and pricey image of typical steamboat buffet restaurants by providing a cozy environment for light-hearted gleeful dining experience, without guests having to worry about their pockets. Featuring these three broths: "Beauty Collagen", "Ginseng Chicken", "Tomyam"
GoroGoro caters to different taste preferences by having six choices of bubbling broths to choose from, namely Ginseng Chicken, Beauty collagen, Mala, Tomyam, Tomato and Vegetarian. The brand is represented by a cute hungry monster, with each broth having its own mini mascot thus providing a fun element to dining! Featuring the other three broths: "Mala", "Tomato", "Vegetarian"
That is a lot of work put into creating delicious soup that I couldn't stop drinking — continue reading on to find out which broth is my favourite! Guests can expect up to 70 selections of fresh meats, veggies, drinks & korean delicacies available for them to eat their hearts tummies out! Best Korean Fried Chicken Wings ever!!!!!!! My love for this Korean Fried Chicken is evident enough from the amount of exclamation marks that I used. They reminded me of my days in Korea (read here about my trip) and the nights I spent gnawing on Korean Fried Chicken! Popular Korean Ice Cream & Popsicles! A good meal should never end without a good dessert. I had my share of a good dessert that night by ending the dinner off with the ever-popular melon dew ice cream pop! There is one more thing about Goro Goro which most of its customers are unaware of: this restaurant is also a social enterprise. The restaurant has outrightly announced its engagement of people with special needs (eg. people with either speech, hearing or learning impairment) as they hope to protect the rights of their staff and for these employees to be treated equally despite their disabilities. Unfortunately earlier on in February, just a month into service, the restaurant received a negative review on their Facebook page due to a misunderstanding from one of their guests. The diner who filed the complaint was dissatisfied with a staff who had not respond when called out to, and had accidentally been a tad too loud when refilling a metal tray with food. This staff has a hearing impairment — thus the obvious explanation as to why he hadn't react when called out or when he made too much noise when slotting a metal tray back into place. Of course, you would ask... why is a deaf person put to work on the floor and if so, why doesn't the restaurant have any plan to help the diners differentiate between these staff with special needs from the others? Most of these special needs staff have been kept to work in the kitchen, with the exception of a few staff (as like the ones whom I have taken a photo with!! Thank you agreeing to take a photo with me guys!) who are able to handle the easier chores such as refilling the meat, vegetables and various cooked dishes, without having to make any interaction with the guests. As a means to respect and protect their special staff, the restaurant had been avoiding the use of any extremely significant tags or identifications to differentiate these staff from the others. Before the complaint, the only way for a diner to know is through a signage at the restaurant's reception counter. However now, all the special needs staff on the floor have to wear a white tag that spells out their disability to the whole world. As a trained occupational therapist and a blogger, I felt sad that one misunderstanding has caused these excellent servers to have to put on labels. They deserve a right to fit in and be just the same like everyone else. Of course, it wasn't the diner's fault nor was it the staff nor the restaurant. It is just a HUGE misunderstanding which can and would be cleared. I gave this restaurant a high rating, partially because I like the aspect where the restaurant has incorporated a social meaning to its enterprise. If only all restaurants in the Singapore would do that, then our local occupational therapists would have lesser of a need to fight for occupational justice for these individuals and lesser of a problem when helping them to get a job. Another aspect of its high rating would be that I really like its food! I like the huge selection of vegetables and meat available, and the wide variety of cooked food to fulfil every buffet lover's craving. My favourite choice of broth amongst the six would be Chicken Ginseng, however other recommended popular options are such as Beauty Collagen and Tomato. Do remember to try their Korean Fried Chicken which all the bloggers were crazy for and could not stop raving about! Note: This post was kindly sponsored by GoroGoro & IgHut. 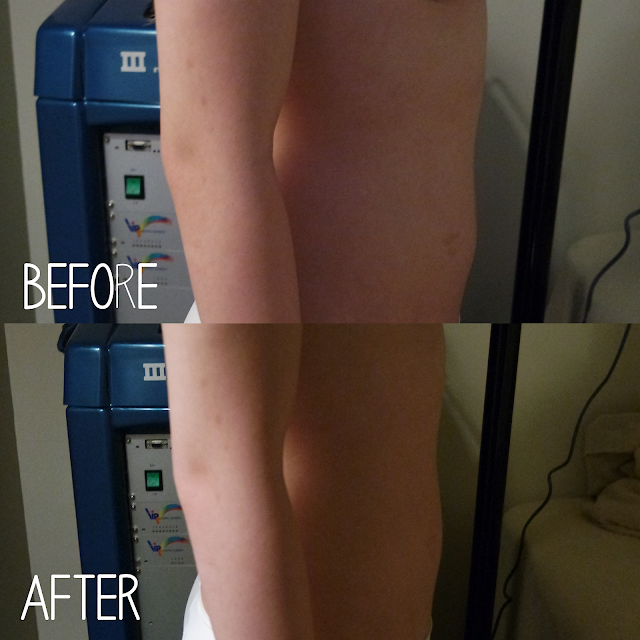 Slimming with Expressions: Electrical Muscle Stimulation is THE latest trend in slimming technology! Expressions is a recognized pioneer in the industry that introduced the concept of "Total Wellness" based on the fact that looking and feeling good is a natural consequence of being healthy and fit. The "Total Wellness" philosophy embraces a holistic and natural approach in achieving health and beauty. Our inner well-being affects the condition of our health and appearance, hence Expressions encourages their clients to attain peace within them by adopting a positive and proactive attitude to life. Expressions pride itself on its commitment to exclusively provide products, programs and services that are of the best quality, with their programs being the result of thorough research. 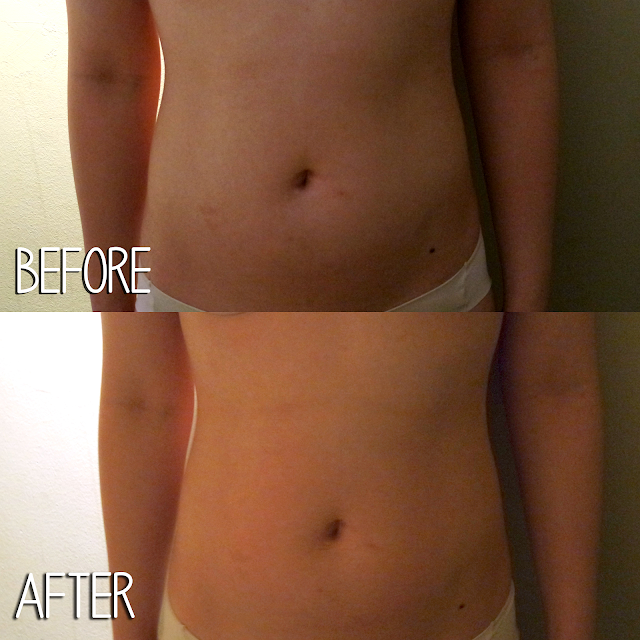 This slimming treatment is a non-invasive body slimming and contouring technology that uses low frequency ultrasound waves, which penetrates up to 5cm deep into the fat under the skin. These waves break down the cellular membranes rapidly, allowing your body to effectively release liquid fat to be broken down in the liver. Expressions VIP Body System is the ideal solution to reduce excess weight, fat, cellulite, slack skin and fluid retention. A muscle firming and metabolic activator, it is used to burn fat and increase metabolism without side effects. When positioned in contact on the skin, the infrared rays penetrate deeply in a unidirectional way, without any dispersion. The rays penetrate deeply, and facilitate heat transmission to the tissues, producing a thermal action that stimulates the discharging of fat and increase metabolism. Oxygenation and microcirculation are also greatly enhanced, and the directional waves induce the bundle of muscles to do isotonic movements with a pumping effect, thus enhancing the energetic consumption and the elimination of the fluids in excess in the area. The pumping effect of the movement helps to discharge fluids giving a purifying effect. The induced directional waves eliminate the Adipose layers, resulting in the firming of the muscles without any efforts from the client. One session of the therapy is equivalent to 300 sit-ups and some clients have ever experienced a weight loss of up to 1.5kg!!! Unlike the previous treatment, this one was a tad more painful but only because I am not an active person who partakes in exercising regularly. As my muscles have hardly been used nor pushed to their boundaries, this treatment forces them to contract for a longer period of time than what they are used to. Furthermore, the electro-pads were placed on the trigger points of my thighs, thus causing me to experience leg cramps during the session. Of course, I am not stupid enough to endure it for over 30 minutes, and so I cried out for help and my therapist in-charge swiftly came to the rescue. She adjusted the electro-pads, lowered the voltage of the treatment, and came every 5-10 mins just to check on my comfort. I know that I am in safe hands when I am at Expressions as this beauty and wellness company's aim is to help individuals to attain total wellness and cultivate a healthy lifestyle using natural and reliable products, coupled with professional and personalized services to achieve desired results in the shortest possible time. Find out more information about the treatments available at Expressions here. Opening hours: Monday to Sunday, 10am to 8.30pm. Click here to know how I lost 1⁄2kg in 3 days with the help of Expressions "SlimJuice" and "Wheat, Bran & Psyllium" pills. Note: This post was kindly sponsored by Expressions. ‘PerBacco’ refers to Bacchus, the Roman god of wine. Perbacco Italian Restaurant is the european eatery on Craig Road with the long, spacious bar overlooking the charming street and with the tables next to opened windows offering an al fresco feel. At Perbacco Italian Restaurant, they aim to provide an authentic, top-notch Italian bar and dining experience along with the motto, "If you do not leave with a smile then we have not succeeded". The brick-lined walls and dark wood furnishings provide the perfect ambience to savour a range of whiskeys, rums, un-pasteurised beers, wines and other spirits offered by the restaurant's bar; and behind the bar is a sprawling yet cosy dining room appointed with dark wood chairs, stone floors and artfully stacked wine crates that imbue a warm, quirky feel. The restaurant's Enomatic machine keeps the wine fresh and allows it to offer 8 bottles of premium house pours. This enables the restaurant to offer Domenico Barolo, Frescobaldi, Kerlann Pinot Noir and Cesare Amarone by the glass at attractive prices. To accompany the drinks is a a nice selection of cold cuts and cheeses, alongside a list of premium home-made Italian Tapas. Together with 9 other fellow bloggers, I was invited to a 4-course food tasting session at Perbacco Italian Restaurant. "Grilled Vegetables & Mozzarella Strudel with Cheese Fondue"
A pleasant sight to the eyes, with crispy pastry crust that every croissant lover would fall heads over heels for. The only downside is the lack of any prominent taste to this dish, which makes it rather bland and normal. "Crab Meat Crocchette with Spicy Tuna Sauce"
My favourite appetiser out of the three options, most probably because it has crab meat — which I love!! The spicy tuna sauce didn't exactly have much of a punch to it so for the non-spicy eaters, fret not! "Smoked Scamorza Cheese wrapped with Italian Ham and Soft Fritters"
I absolutely adore the ham and the cheese, but I can't say the same for the soft fritters as I found it to be a sinful ball of dough that could have been done without. "Linguine with Lobster and Egg Yolk Cream Sauce"
Ooo.. This pasta has got me excited! Unlike most carbonaras produced in our little red dot which uses cartons of heavy cream, this carbonara is cooked the authentic Italian way using egg yolks, starchy water, tons of cheese and NO cream at all. Hip hip hooray to all the lactose-intolerants in Singapore, we have finally found a carbonara that wouldn't set us on a mad dash for the washroom! "Potato Gnocchi with Braised Oxtail and Truffle Essence"
Ever since I watched MasterChef and learnt the existence of Gnocchi, this is my go-to pasta whenever it is available on the menu. Sadly though, I haven't had any Gnocchi that has been cooked al dente. Most has been cooked till it is soft because that is the Asian's definition of being "cooked". Regardless the sauce for this Gnocchi was rich and tangy with a tinge of red wine, and the braised oxtail was soft and tender. If you are a fan of Gnocchi, do give this dish a try! "Oven Baked Red Snapper Fillet, Cherry Tomato Sauce and Fresh Burrata"
I am impressed by the choice of fish used, but the taste wasn't as spectacular as I had hoped. The burrata, on the other hand, is to die for and should be tried by all cheese lovers in the nation! "Braised Veal Cheek in red wine with Cannellini Beans"
Tender, juicy veal meat + a layer of melt-in-your-mouth fat = YOU MUST TRY!!!! Omg it was really sooo good! "Ricotta Cheese Tart with Peach Compote"
A simple combination of creamy cheesecake with slightly sweet peach compote, which is also an irresistible dessert for any cheesecake lover. Even I, who rarely takes cheesecake, couldn't resist taking another forkful of this delicious dessert. If you thought the cheesecake was awesome, think again! This dessert is my favourite out of the two. I love the slight sweetness from the caramel sauce and the crunch from the roasted hazelnuts. The pannacotta was creamy but not overpowering, hence I could most definitely polish off this dessert on my own if I weren't sharing it with another fellow diner. Perbacco is a neat Italian restaurant with 35 seats at their bar area and 45 seats within the dining compound. The interior of the eatery is decorated with warm tungsten lighting and wooden furnitures that gives off a very soothing and romantic vibe. As for the food, I would say that there were slightly more hits than misses. However the restaurant does deserve a mention for its fine food presentation of both elegance and finesse. To be entirely honest, I wouldn't be a frequent guest to this restaurant due to the steep prices and that I have an assumption of leaving Italian cuisines for special occasions such as birthday or anniversary dinners. With that said, Perbacco does offer an exquisite meal that would most definitely impress their diners. Here is a tip so that you can have a great meal at Perbacco without burning your pocket: You do not have to order two sets of every course, but instead just order a set from your choice of appetiser, main and desserts. I found the portion for each course to be adequately generous for sharing amongst two people. The dishes that I would recommend to try would be: Crab Meat Crocchette with Spicy Tuna Sauce, Linguine with Lobster and Egg Yolk Cream Sauce, Braised Veal Cheek in red wine with Cannellini Beans, Caramelised Hazelnuts Pannacotta. Note: This post was kindly sponsored by Perbacco Italian Restaurant. Conveniently located at the Singapore School of the Arts (SOTA) building, KOKOMAMA is an adventurous business by the Chew siblings behind 77th Street and the café aims to present a wide range of international fusion dishes to Singaporean palate, and hence the terms “Market Place” in its name. KOKOMAMA is a hip fusion cafe that sells different varieties of food and beverages - french bakery, chilli crab/curry/clam chowder bread bowls, rice bowls, coffee (latte etc), traditional kopi/ teh and dessert such as waffles and korean bingsu. KOKOMAMA aims to encompass the ideal to-go-to marketplace for a good bite. To further emphasise the café's theme of “japalang-ness”, KOKOMAMA has furnitures of many designs to liven up the atmosphere to give the customers a cozy and nostalgic environment for dining and hanging out. Baked with high quality flour from Europe, KOKOLAVA croissants have the satisfying crisp and fragrance. Take a bite and out oozes the rich and savoury “lava” to sensationalise your tastebuds! KOKOMAMA added a touch of Singapore’s local flavours to our beloved flatbread and birthed the genius pizzas! Nothing like a bowl of ice to beat the heated weather in Singapore. KOKOMAMA spawned 2 hot favourite flavours, the MATCHA CRAZE and MANGO MADNESS! KOKOMAMA Market Place is a chillax eatery that has proven itself in offering a cozy and nostalgic environment for students, couples and friends to hang out and have a good meal. The café has kept with the food trend in Singapore and offers salted egg croissant. However the point to note and spread around is how KOKOMAMA bakes their croissant everyday, and no unsold croissant is placed back on the display rack on the next day. This ensures the quality of croissant being sold within the café! KOKOMAMA is also extremely generous with the filling in their crossiants — I have never met a baker who could be more sparing with their ingredients. Out of the three croissant choices available, my favourite would be the Salted Egg Croissant as the other two were too creamy and thick thus causing a 'gelat' (nauseating) feeing after a few bites. Nonetheless I loved the croissant's buttery crust and so I um... dug out all the feeling and finished the pastry LOL. As for the fusion pizzas, I have to admit that they didn't quite meet my expectations in terms of taste but the pizza breads would make a great lunch or breakfast quick-bite — great for students studying in the nearby institutions or working adults around the district! I personally prefer the savoury Smokey Duck Pizza over the other two options! Now for my favourite dish out of all that I have tried, it has got to be the Salted Egg Prawns Pasta! KOKOMAMA has nailed the recipe for this irresistible dish and I would highly recommend everyone to go try it out! Last but not least, the desserts. The Yogurt Fruity Flair Bingsu would win in terms of aesthetics, but the Mango Madness Bingsu has truly lived up to its name and would have you going mad for another spoonful of ice and sweet mango combined! Note: This post was kindly sponsored by KOKOMAMA Market Place and IG Hut.